TR8 Genuine TR8 parts ! Triumph TR6 ** DOOR LOCK BARRELS ** Pair new with keys. 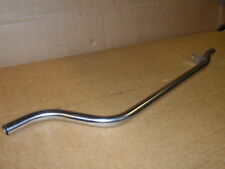 Triumph STAG ** HOOD FRAME BOLT KIT ** New ! Triumph TR7 TR8 ** BOOT LID HYDRAULIC STAY ** New Pair Holds boot lid open! 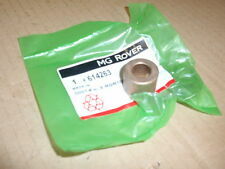 ROVER V8 ** BELL HOUSING DIRT SHIELD / INSPECTION PLATE LT77 GEARBOX - NEW !! Triumph TR7 TR8 ** HEATER Control KNOB ** SET OF 4 as picture ! 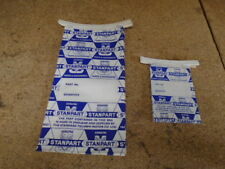 Triumph STAG ** HOOD / SOFT TOP SEAL KIT ** Complete hood seal kit ! Triumph TR7 TR8 ** HEATER MATRIX ** New Improved Part - Doesn't need seals !! Triumph STAG ** PARCEL SHELF / TRAY RHD ** NEW - Fits under dash on LH side. Triumph STAG ** TUBULAR EXHAUST MANIFOLD PAIR ** STAINLESS STEEL Best Quality !